Growing up, I was stubborn and always questioned authority (albeit quietly), but my parents knew how to address this civil disobedience. They’d simply tell me a story with an explanation. “Don’t put your hand out the window” would turn into a winding story about my great aunt who once stuck her hand out and suffered the consequences. 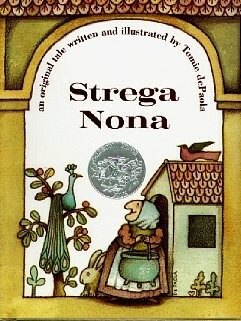 When they had no personal stories to back their reasoning, my parents used Greek mythology and Aesop’s Fables. A hand that went to close to the burner would elicit “Remember what happened to Icarus…” And as I learned how to read, my mom and dad continued to teach me by starting (and later, expanding) my personal library. 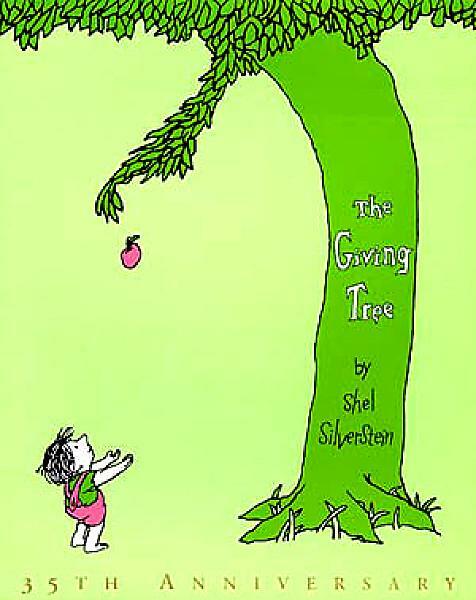 Here are some of my favorite lessons from some of my most beloved children’s books. Branches and apples…or you know wealth and fame are well all the same, but if those things disappear, all you have left is yourself. So the friends that stay with you even when you have nothing else to offer—those friends are the real deal. Maybe it was because I was a wolf advocate as a child, but I was so happy to find somebody defending the “Big Bad Wolf.” Just because a popular story states one thing, doesn’t necessarily make it true. 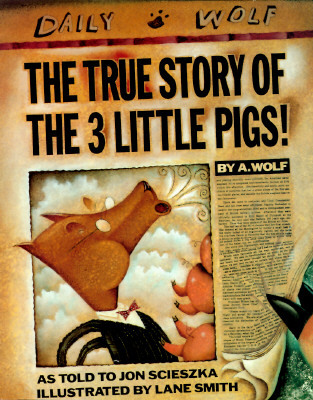 The True Story of the 3 Little Pigs changed the way I viewed stories: when introduced to a new fairytale, I would read several variations shortly after to get the bigger picture. I like to credit Jon Scieszka’s story as the reason why I try to see the whole picture before stating my opinion. Alright so this story really broke my heart. But it’s got a beautiful message to keep going no matter what. 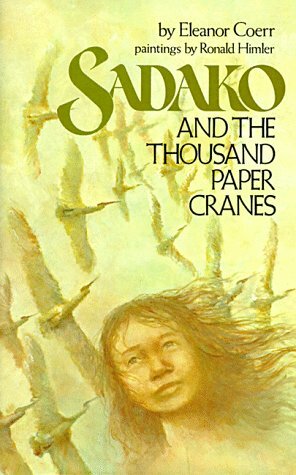 To some, it looks like Sadako never finished her thousand paper cranes…but to me, she did with the help of family and friends who were inspired by her determination to finish. Even when you feel like you don’t see the finish line, keep on going. Chances are you’re going to find people rooting for you along the way and you’ll eventually reach the goal line. 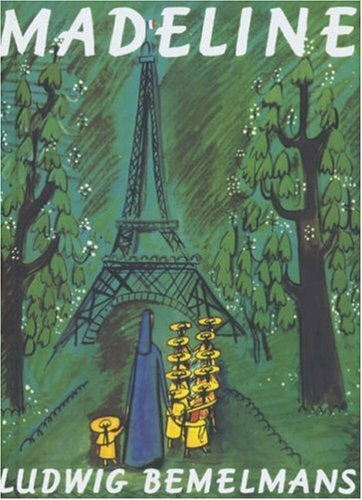 “The smallest one was Madeline.” Though she was the smallest, Madeline was the bravest of all the girls. She wasn’t afraid of a tiger in the zoo…or to stand up to the Bad Hat (who eventually became her best friend). Even the scariest of situations soon pass and when all is done, you’re all that’s left standing. Don’t forget that. Charles Wallace and Meg have always been different, especially at school. But if it weren’t for their differences, they wouldn’t have been able to tesseract to Camazotz and save their dad. The best advice I was ever given was to solve my problems using my own talents. What I’ve made as a result are some of my proudest moments. If Big Anthony had never flooded the town with spaghetti, the town wouldn’t be enjoying that spaghetti at the end of the book. Without mistakes, we’ll never learn…never know a person’s worth…never know our own worth. Our mistakes make our life more fun and vibrant…and in this case, tasty. Lesson No. 7: Write on. Bad day? Write it down. Good day? Write it down. Got a problem? Write it down. Write everything and anything. Leigh Botts gets the magic of writing. It’s why he keeps his diary. Not only is it cathartic but after reading what your heart poured out, you’ll understand yourself better. We live in a world where we constantly need to communicate our thoughts, and what better way to practice that through writing? When all else fails you, write. Though I was introduced these lessons a long time ago, I still am working on the learning part…and re-reading these books!